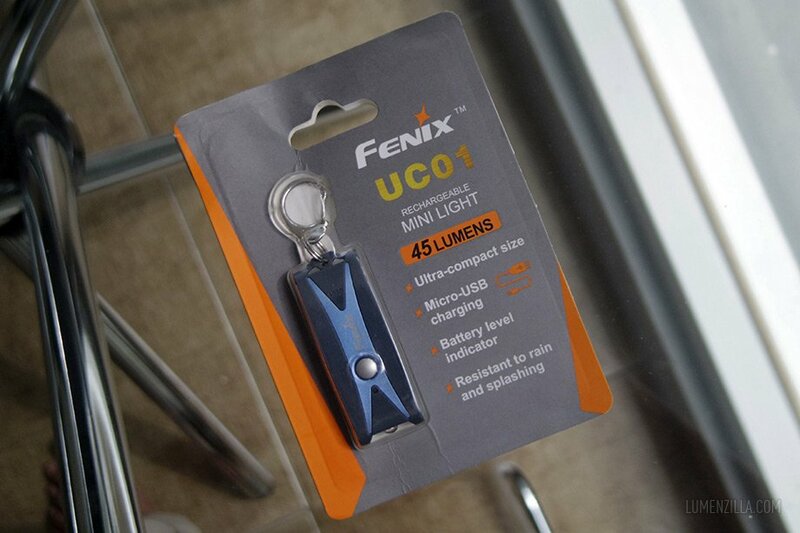 Fenix UC01 is a mini sized flashlight which has internal battery and USB charging feature which can deliver up to 45 lumens of light and maximum runtime of 50 hours on lowest mode. 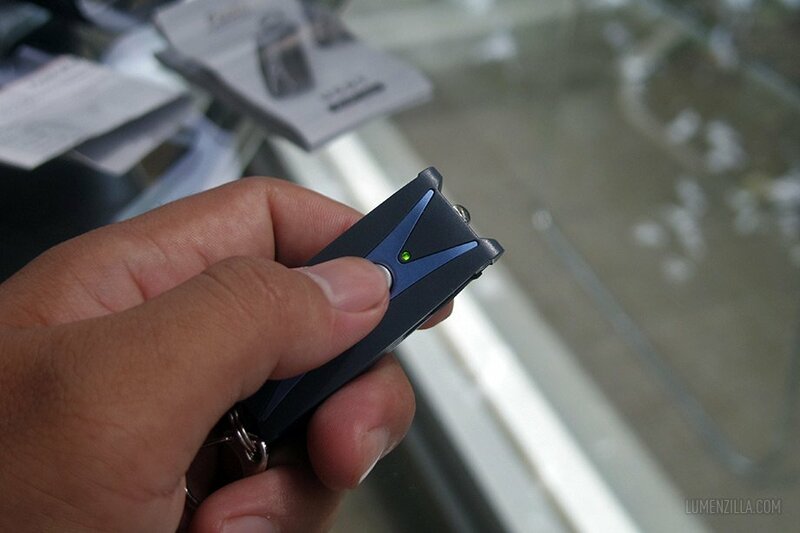 It also has battery level indicator feature and ideal for every day use as keychain. 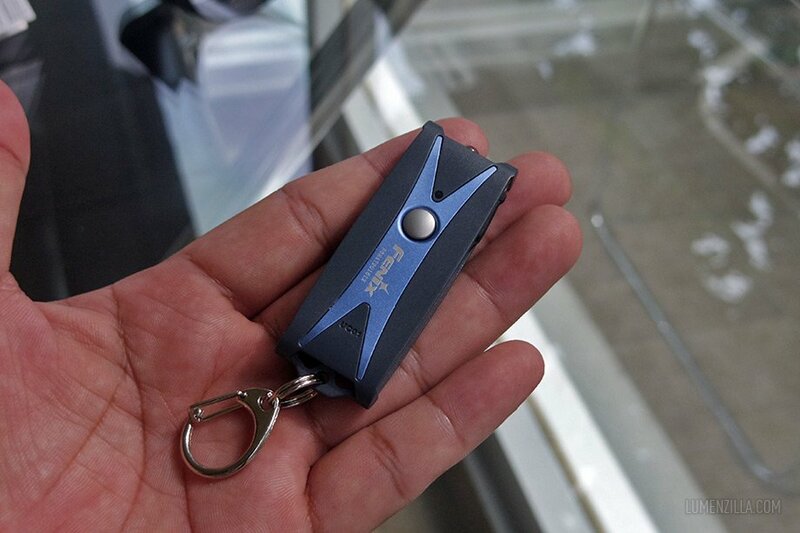 I receive this UC01 as a prize from Fenix by winning their quiz and found this little flashlight is useful and carry it everyday along with my motorbike’s key. I’ve been using UC01 for quite long time and now is the chance to write my experience. Despite it has micro USB charging feature, no USB cable was included in the package. It made sense because the flashlight price is fairly cheap. 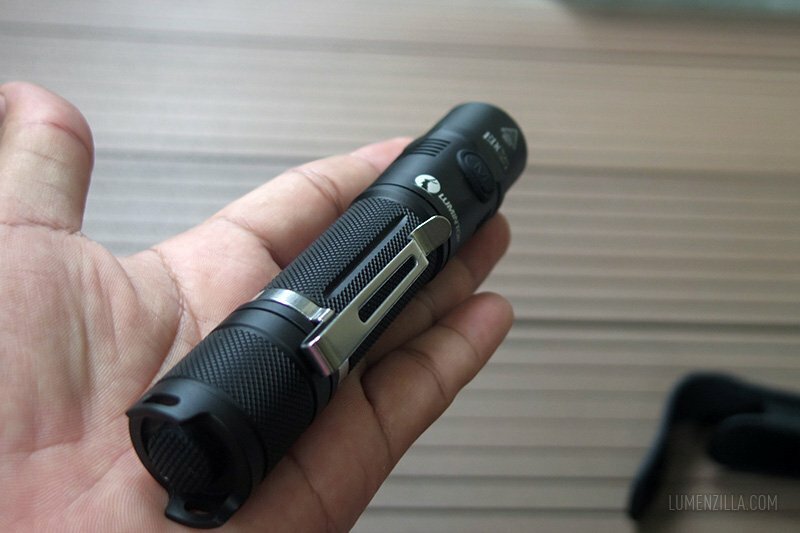 The dimension of Fenix UC01 is pretty small but a little bigger than Nitecore Tube. I couldn’t found any information regarding the capacity of its built-in Li-polymer battery but I almost forget when was the last time I charged it because the battery performance is reliable. Here’s size comparison to Fenix CL05 which uses AAA battery. 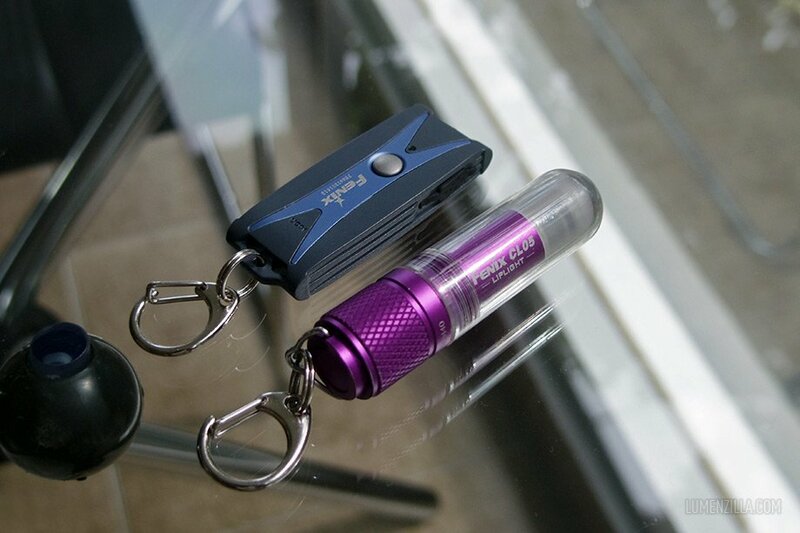 Fenix uses Nichia LED for this keychain flashlight with a nice cool white tint color. 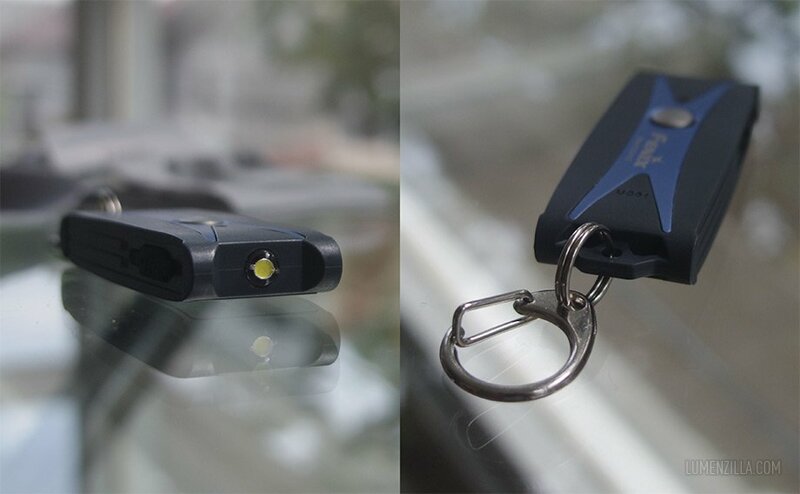 The key ring is also good although it’s not as thick as the one used on Streamlight Nano. It still hangs on my keychain till today and no sign of wearing was visible at this moment. 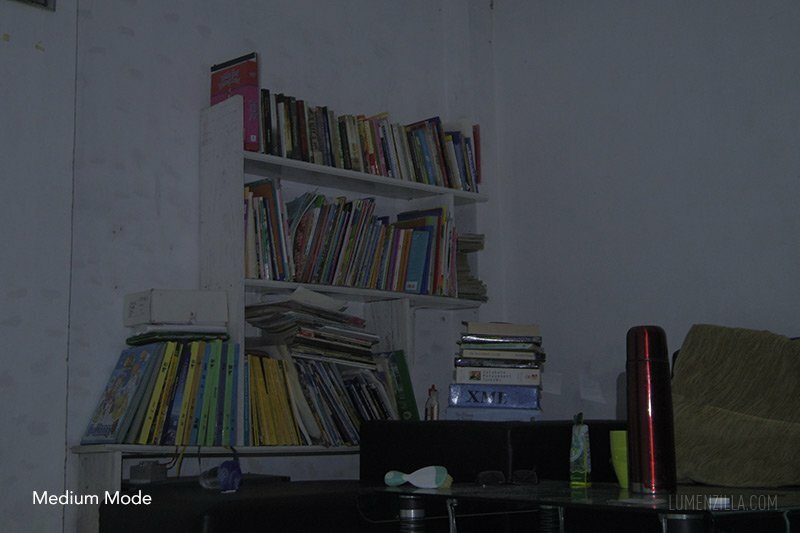 With its obviously visible metal switch, owner shouldn’t find any difficulty operating the flashlight. Press and hold the button for about 0.5 second and the light will turned on or off. While the light is on, short press on the button will cycle the mode from low to medium and high. It also has memory so it will remember the last brightness level used. One cool feature from Fenix UC01 is the battery level checker. 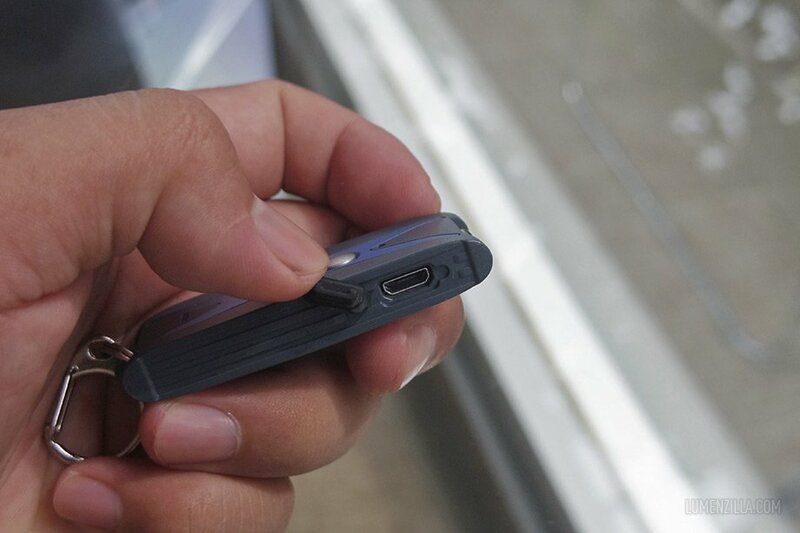 While the light is off, press the button shortly and it will display its battery level for 3 seconds. According to Fenix’s official page, it’s advised to charge the battery every 2 months to maintain its best performance. Fenix puts the LED outside the UC01’s body (extrude) thus gives advantage of wide spread beam pattern. 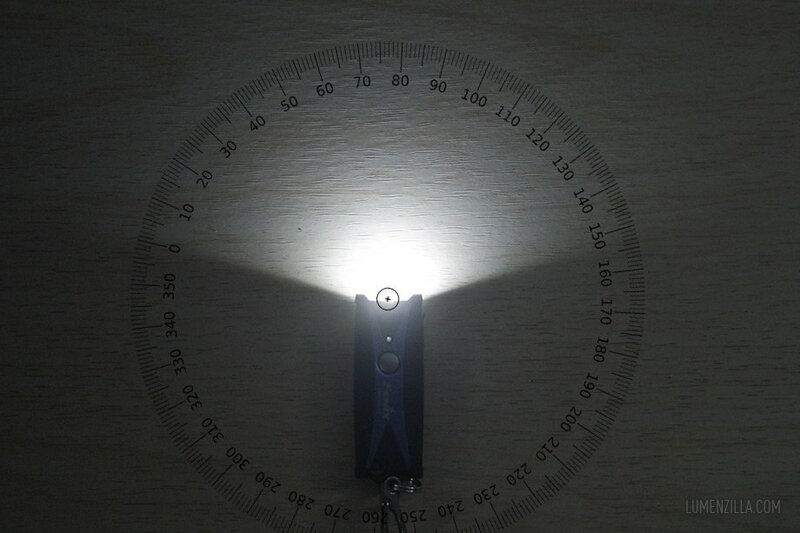 I measured the beam spreads for 150 degree and very ideal for close range illumination. 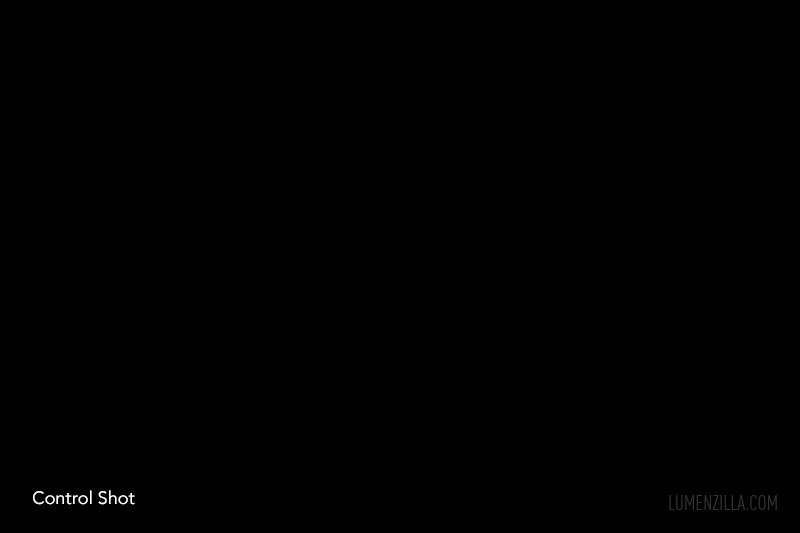 I ran two beamshot tests with different distance. 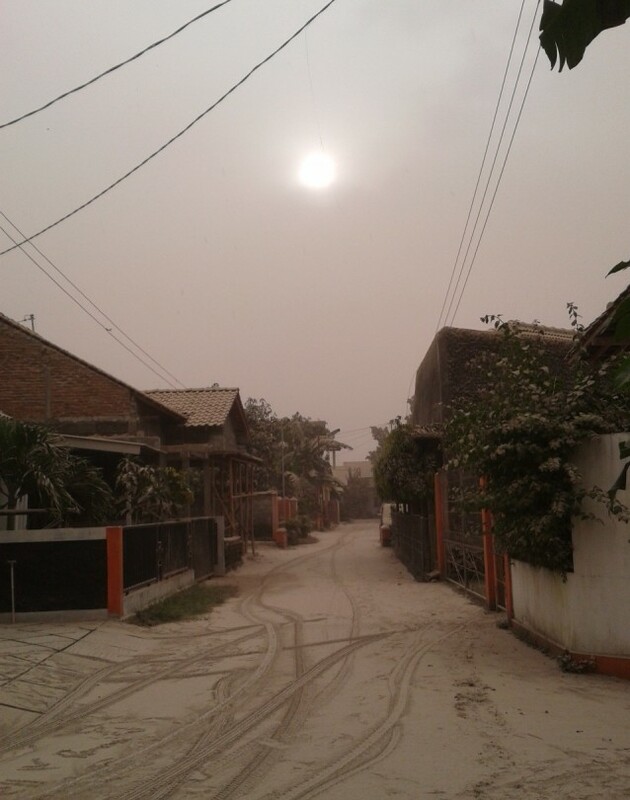 First test was 1-1.5 meters and then 4-5 meters distance. 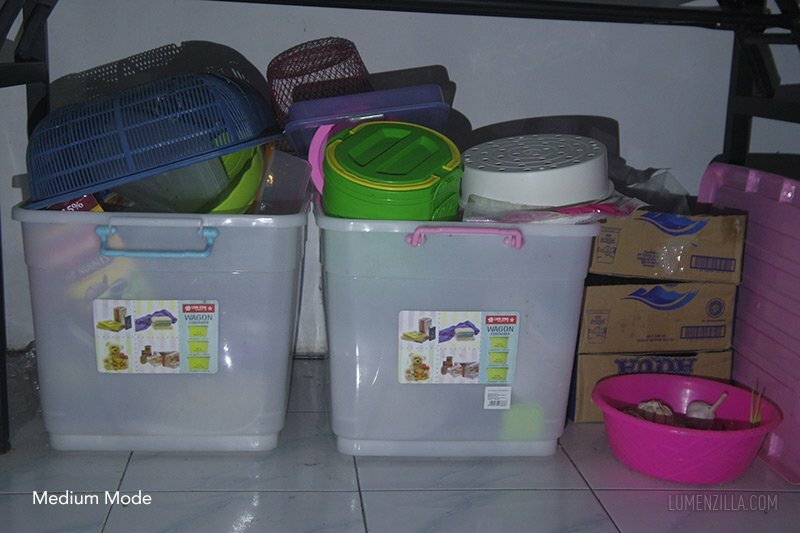 These shots are taken with Pentax Q in manual mode: exposure 0.6 sec, f/1.9, ISO 200. Same as previous shots, all shots are taken with Pentax Q in manual mode: exposure 0.6 sec, f/1.9, ISO 200. 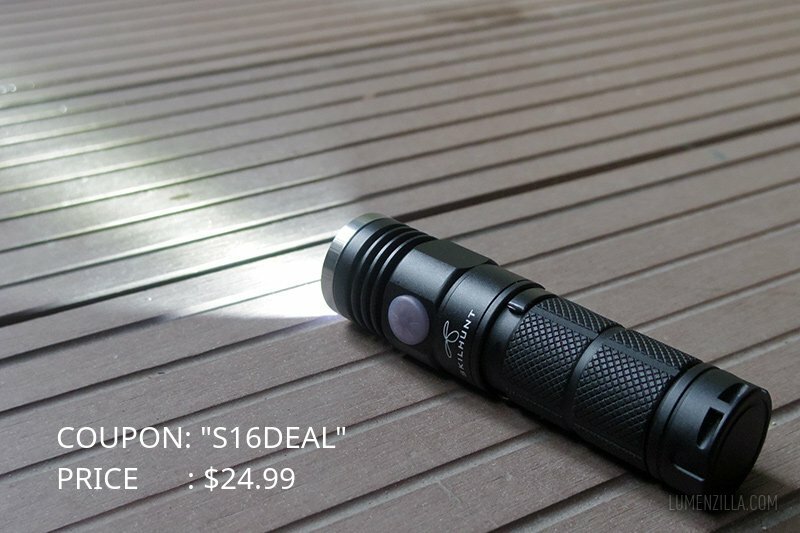 Looking at above beamshot pictures, I can say that this is an ideal everyday carry flashlight that will help you through the darkness. 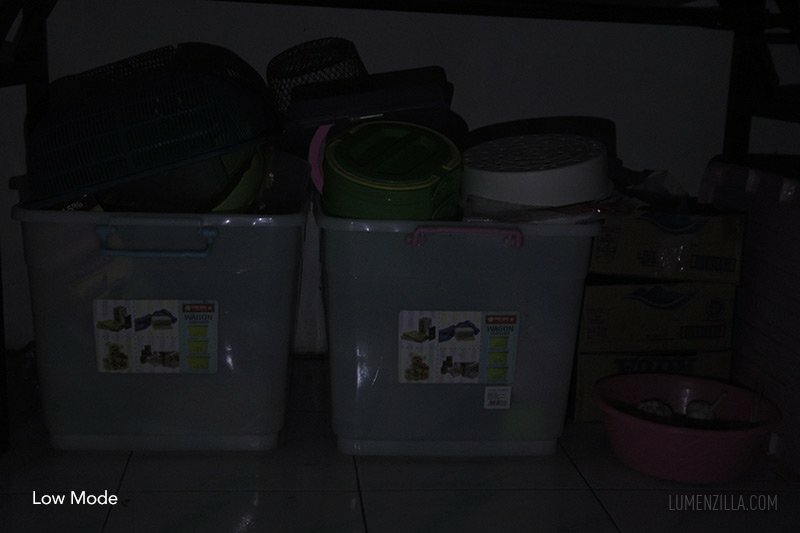 I have no idea of the CRI value of the LED but it can reveal nearly true color of the shined objects. 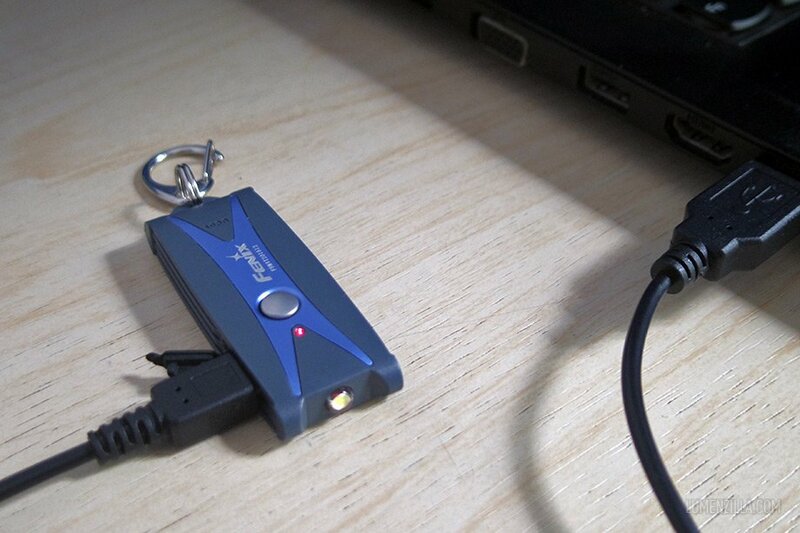 With its micro USB charging feature, owner of this light can charge the battery with any USB power source available. 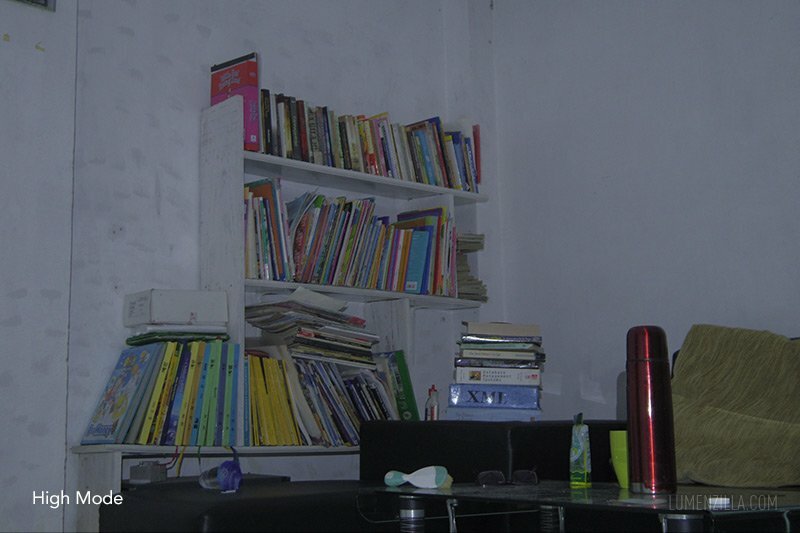 I usually charge the battery on my laptop or using my LED TV’s USB port. It tooks about 2 hours to completely charge the battery (indicator light turns green) and it’s advised not to turn the light on during charging time. However it’s possible to turn on the light during charging but only medium mode is available. 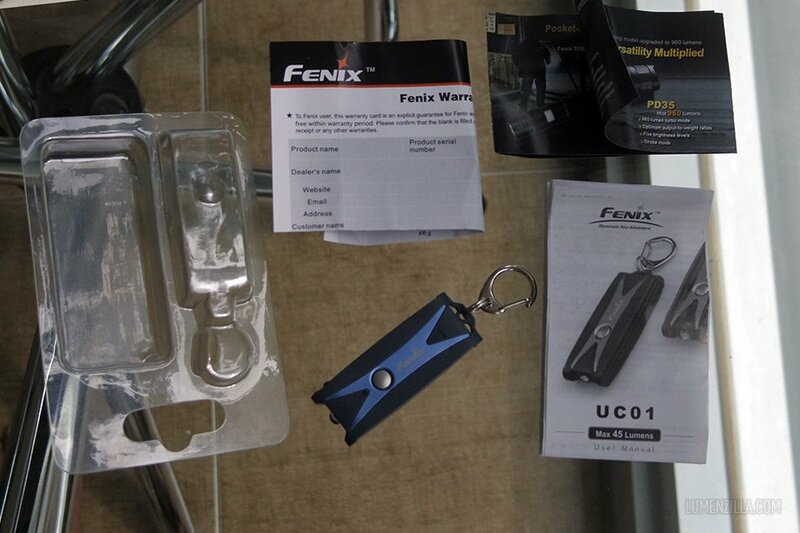 Fenix UC01 is a decent everyday carry keychain flashlight. It’s lightweight, sturdy, easy to use, and has enough brightness for close range illumination. Please take note that the switch can be pressed accidentally while stored in the pocket and there’s no way to “lock” the flashlight to avoid accidental activation.